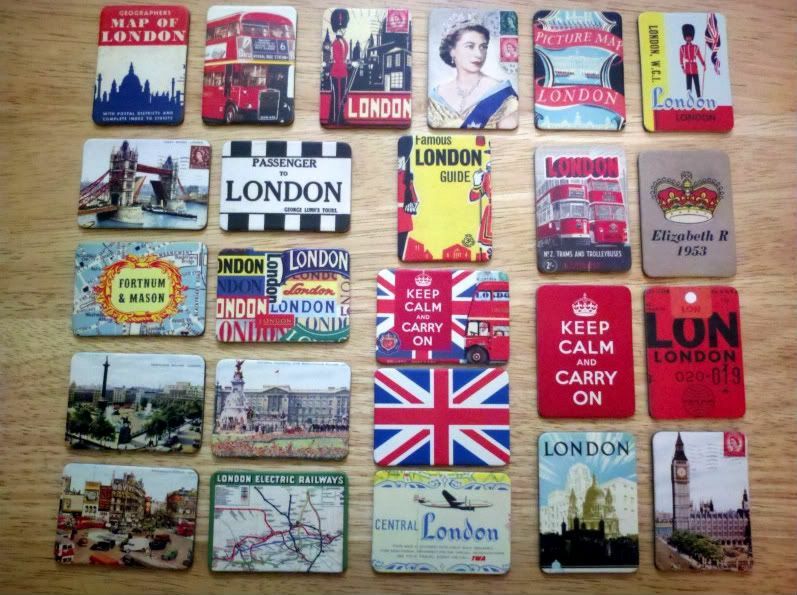 Ummm, so I just bought 24 vintage London magnets. And paid hellawaytoomuch for them, but I had to have them! I mean, how gorgeous is this set? Just like I love taking buses everywhere in New York, I love taking the bus wherever we can in London, love racing to the upper deck to grab seats in front. Just like a tourist, I'm sure, but I don't much care - it's the best way to see the town. Slowest, but best. 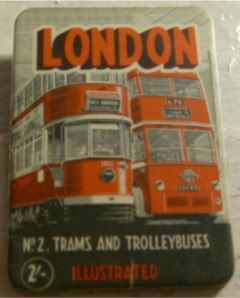 This magnet reminded me of the crazy triple decker Knight Bus that picked up Harry Potter in Azkaban, which reminded me that I was superhappy when the final credits rolled on Potter 7.1 this past weekend. And yep, I totally just had to look up which movie the bus was in - after finally finishing my Potterthon in advance of 7.2, the whole series is pretty much a blur.